TEEX Blog: Ever want to drive a fire truck? Ever want to drive a fire truck? CEO Gary Sera in the FireSim™ driving simulator. Recently, I did something pretty amazing – I got to take the TEEX Emergency Services Training Institute’s (ESTI) new driving simulator out for a spin. While this is a serious mobile training tool, it’s actually a lot of fun to drive. And that’s important to today’s students, who are used to video games and computers with lots of fast-paced visual and audio feedback. This simulator, which was purchased with a grant from FEMA, allows TEEX to stay on top of new technology and gives our students something that not only helps them learn new skills, but lets them have a good time while they’re doing it. There is no rule that says that training can’t be fun, even when it’s a serious subject. Photos by Justine Schmider, article at http://bit.ly/hnaRTt. 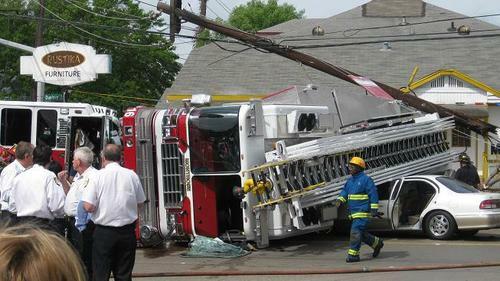 Driving accidents are the second highest cause of death for firefighters. You know what it’s like when you’re the driver of a car or truck and you hear the sirens and see the flashing lights behind you. Things get very chaotic. Now, put yourself in the actual seat of the fire truck driver. They are trying to get to the scene of the incident, but there are a variety of vehicles in front of them. Some of them are trying to get out of the driver’s way, and some of them are trying to rush through the intersection so that they won’t have to wait. In essence, it is a very, very dangerous situation. 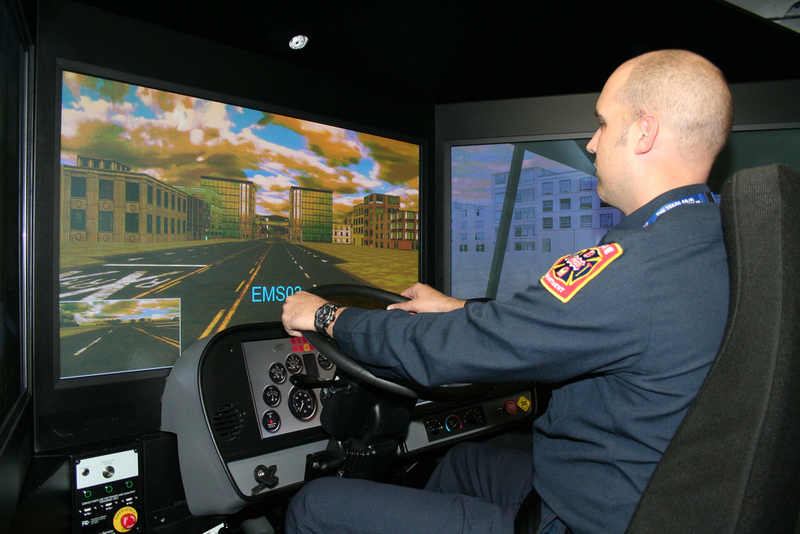 The MPRI FireSim™ driving simulator provides a virtual “hands-on” experience and can measure driver performance. In this risk-free environment with simulated situations covering roads with potholes, city and rural areas, flat tires, a variety of weather conditions and more, drivers can enhance their driving and decision-making skills for real-life situations. An instructor can remotely control the vehicles and pedestrians entering from side streets and intersections as well, adding even more challenges. We house the simulator on a 32’ trailer so that it can be taken across the state of Texas whenever and wherever training is needed. TEEX’s extension training mission is very important to us. The state of Texas is huge, and we need to be able to get out and engage our customers where they are and take workforce training to them. It saves them money and improves their ability to get new jobs or enhance their skills. 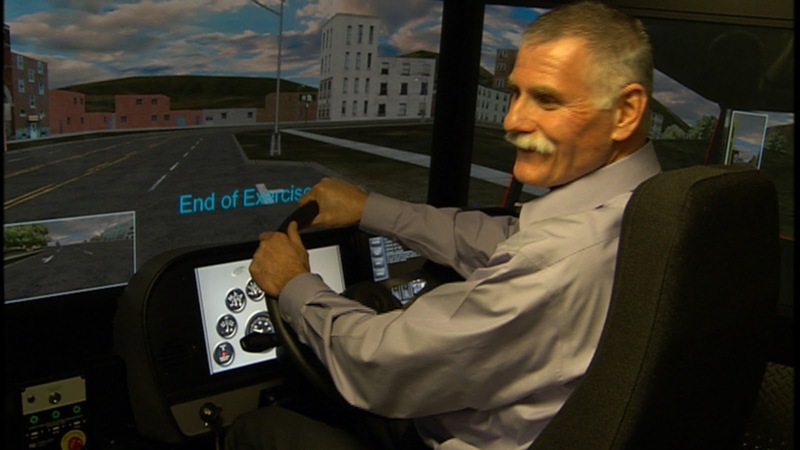 We have a variety of mobile training units, including ESTI’s new driving simulator. Our Infrastructure Training and Safety Institute has Water and Wastewater trailers that can travel to places like the Colonias in the Rio Grande Valley or into deep west Texas for hands-on training in laboratory techniques, pump operations, valve and hydrant maintenance, and backflow prevention assembly testing. There is also a confined space entry mobile training unit where employees learn first-hand how to perform confined space entry safely under a variety of scenarios, while complying with OSHA and other safety standards. 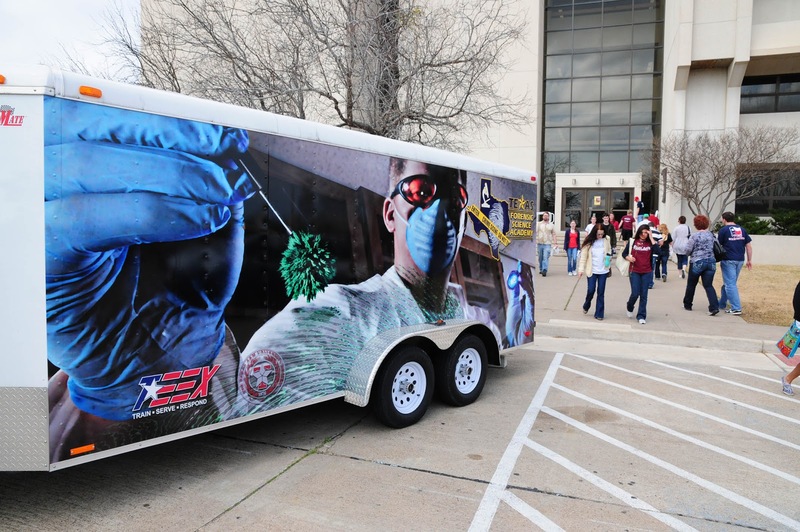 Public Safety & Security (PS&S) has a Forensic Science trailer that allows us to conduct specialized law enforcement extension training in forensic science across the state. 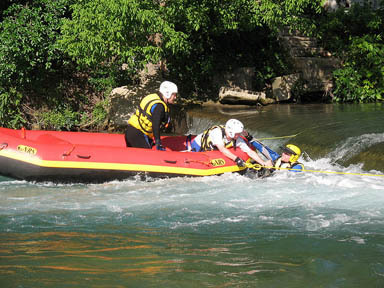 And I don’t want to leave out our search and rescue training – we transport our swift water rescue boats to San Marcos to conduct hands-on training on the Comal River. But our mobile training units and trailers are just one way we carry out our mission of extension training, technical assistance and emergency response. Our instructors are on the road every day – traveling more than 1.6 million miles a year – to take our first-rate training to every corner of Texas, saving companies and communities time and money. And our new driving simulator is just the latest example of how we’re always looking for new technologies and innovative, cost-effective ways to bring our training to you! Gary Sera is the CEO of Texas Engineering Extension Service, and he invites your comments.